FHN » Want to Say Thank You to Your Nurse or Caregiver? Our Very First DAISY and BEE Award Honorees! We're excited to share the award recipients for our very FIRST DAISY and BEE Awards. All nominations were submitted by impacted patients and/or their families! The DAISY (Diseases Attacking the Immune System) Award is an international recognition program that honors and celebrates the skillful, compassionate care nurses provide every day. The DAISY Foundation was established by the family of J. Patrick Barnes after he died from complications of the auto-immune disease ITP (Idiopathic Thrombocytopenic Purpura) in 1999. During his hospitalization, they deeply appreciated the care and compassion shown to Patrick and the entire family. When he died, they felt compelled to say "thank you" to nurses in a very public way. The BEE (Being Exceptional Everyday) Award honors patient care (non-nurse) staff who assist the licensed nurse or patient/family to deliver direct patient care. Both DAISY and BEE Award Honorees are recognized at a public ceremony, and are awarded with a beautiful certificate and Award pin. DAISY Award Honorees and their departments celebrate with cinnamon rolls, a favorite of Patrick's during his illness. BEE Award Honorees and their departments celebrate with a honey-themed treat. 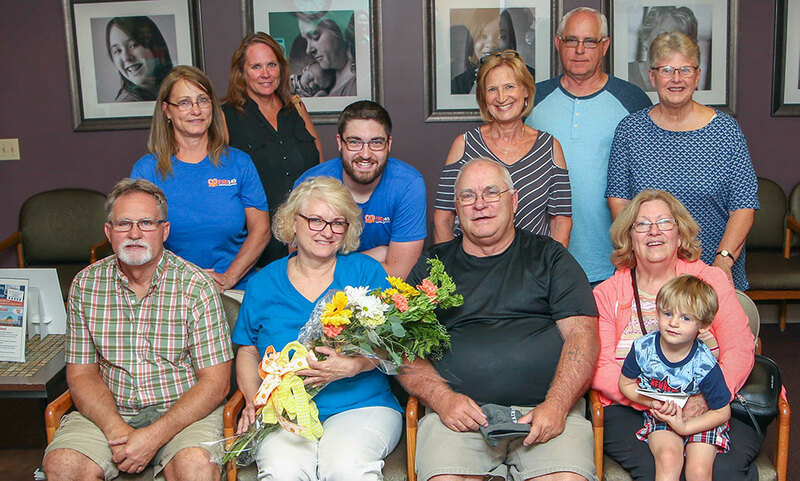 Teresa Muggler, DAISY Award recipient and Mary Freidag, BEE Award recipient were surprised by nursing leadership, their co-workers, the nominating patient/family, and Nursing Care Council members. 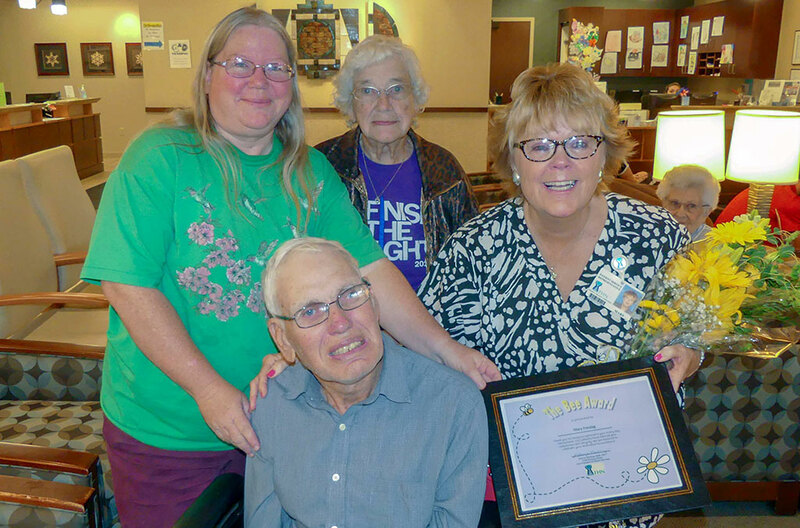 "Receiving the DAISY award has been a humbling experience. I am honored that I was chosen, especially because I work alongside such kind and compassionate people. My parents instilled in me the values necessary to work at such a rewarding job. I was taught to always treat everyone as you wanted to be treated or to treat everyone with the same respect as you would your own parent or relative. This award is something that I will cherish forever." I'm humbled in accepting the first BEE Award! It's a huge honor, and I'm grateful that I am able to lend patients a helping hand and a friendly smile. I feel in my small way I am furthering FHN's Mission, 'We're here, for you.' I love my job!" Congratulations to all nominees and thank you to those who nominated them! And a special thanks to the Nursing Care Council for sponsoring these awards! If you would like to nominate your nurse or caregiver for one of these awards, submit our nomination form and share your story!